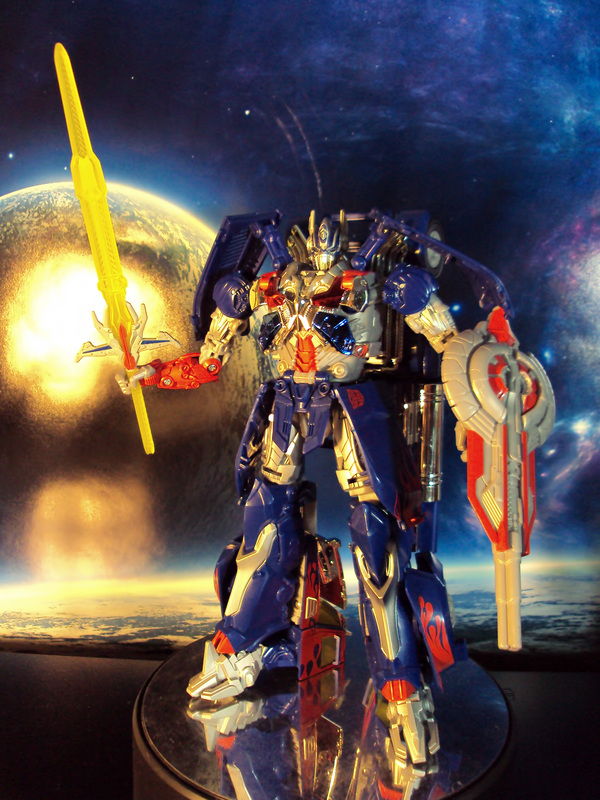 Today marks the official retail release date of the Transformers Age of Extinction movie toys. Earlier in the week, I took advantage of Amazon’s buy 1 get 1 for 30% off when they sold their stock online last Monday. 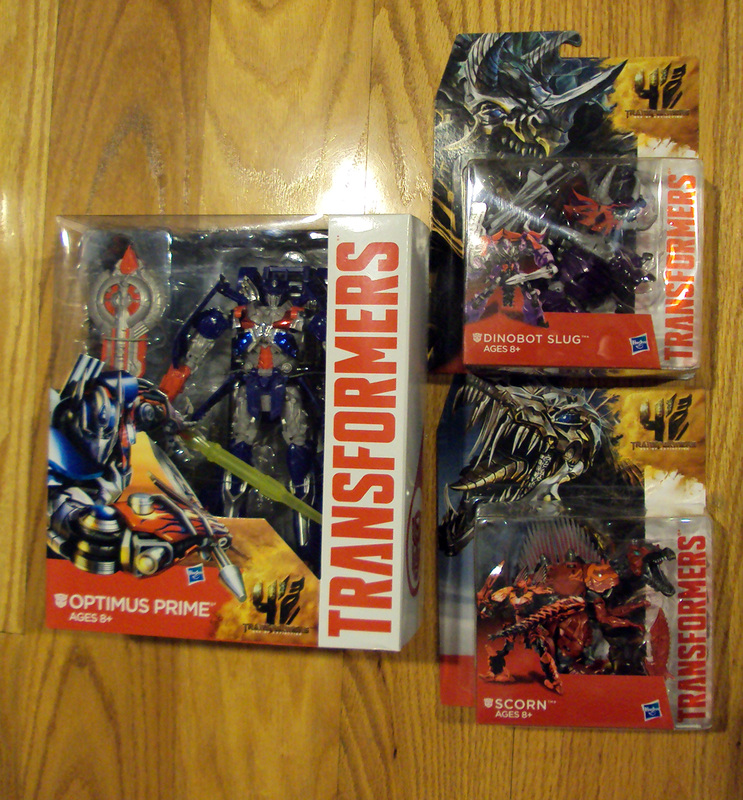 Apparently Monday was referred to Cybertron Monday – the official online release date for the movie figures. I was able to get the Scorn and Slug through that deal and today I hopped over to Toysrus and used my $5 off coupon and picked leader class Optimus Prime. I honestly like the design of these toys. After learning Takara Tomy was doing a more movie accurate colored Optimus with more silver paint apps but selling for $80, I decided to take time to add some more silver paint to my US version Optimus myself. Using Tamiya Acrylic paint, I painted parts of the arms, chest, head, and fully painted thighs and feet. The annual Big Wow Comic Convention hit San Jose, CA this weekend. It’s more fan friendly convention for better interaction with comic creators. Relatively a small show but there was a descent seller presence. I was able to track down a very cool Evil Lyn from the 2000’s MOTU as well as TF Generations Scourage. 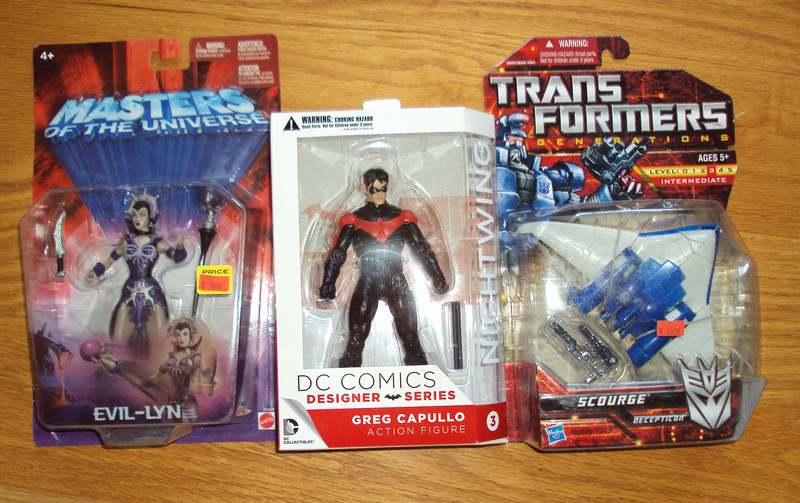 Also snagged the DC Collectibles Designer Series Nightwing based off the art designs of Greg Capullo. 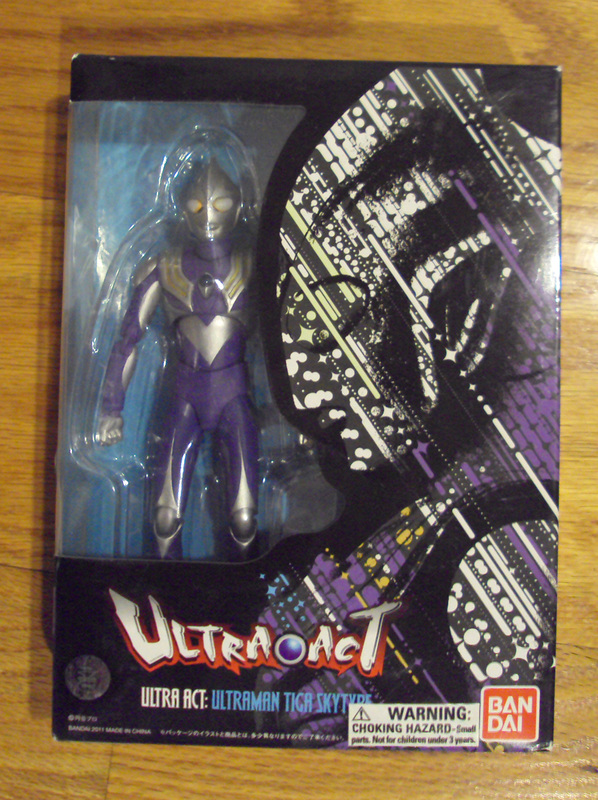 The real bargain I found was an Ultra-Act Ultraman Tiga Sky Mode figure for $20.